Do any of you know what colors, if any, are associated with Jesus? Want to put a candle representing him on an altar I'm setting up. Thank you. White is a good general choice for him. Blue if you're working with him for peace/blessings. Jesus is usually shown wearing a red and white robe, so red or white would be appropriate. Dress the candle(s) with Sacred Heart and/or Jesus the King oils. thank you Great almighty God for granting my wishes so quickly and I am thankful for your precious son Jesus Christ. lucky mojo you have an amazing thing going on here, wonderful products and a great website to communicate, I love you guys. blessings to all. may we praise the most high for everyday we are gifted with. I would also like to say Thank you God for your beautiful gifts that you've given me, I ask that you bless me to use them correctly and in a positive way! And Jesus..."Have I told you lately that I love you"! Love You!!! Thank you Jesus for being with me everyday and for being a constant guide. Your love and help have been invaluable to me. I love God so much, it has been patient with me even when I'm upset not understanding how it works. Through Jesus and the angels everything has been done safely and from a good pure place. Nothing feels as good as knowing you have the ultimate one on your side. I am so thankful to God, Jesus, the archangels, and our ancestors. Amen, god bless you guys who also posted in here to show your love to Jesus our savior. Thank you Jesus, Son of God, King of Kings, Lord of Lords. Thank you God and Thank you Jesus, I love you so much. Thank you god for everything you have done, everything your doing, & for the wonderful things you have in store. guide me through my life. Thank you Holy Jesus, Master of the Universe for all your help. Not there yet but getting there. Thank you Jesus for always having my back...for never leaving me and never failing me. You are God, King of Kings and Lord of Lords...Jesus the name above all names today tomorrow and forever! If Jesus helps you with an issue, what is the payment? Per this thread, I am thinking of working a Sacred Heart of Jesus candle and petitioning to cleanse my heart of resentment and learn to forgive. To that end, if I go this route, is there a standard payment for Jesus? Maybe red wine? Donating to a Catholic church? Any ideas are welcome, thanks! Jesus is not a "saint"; he is the Son of God (or God the Son) according to Christian belief. He does not require payment. A vigil candle burned in gratitude is awesome (I have a red one dedicated to Jesus burning right now, actually),but the best way to pay Jesus back (in my humble opinion) is to live the way He wanted us to live, and that starts with how we treat the poor and marginilized among us. I can't think of a better Bible passage on that subject than the one Mama Micki posted above. Ah, thank you so much for your input, everyone! 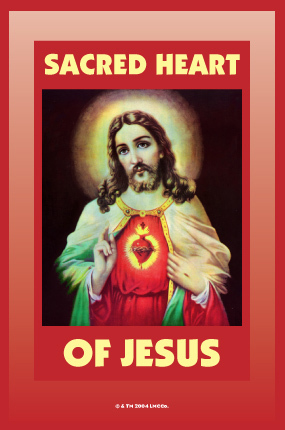 Also, I was wondering if either of the Jesus oils (Jesus the King or Sacred Heart of Jesus) is red in color. If not, would it be possible to color one or the other red? (By adding dragon's blood, alkanet, or some other reddening agent.) Having been influenced by Momma Starr's Old Style Conjure blog and radio show, I often like to "plead the Blood of Jesus" over my work, so I'd love to have some kind of "red Jesus oil" to serve as the "blood" in a concrete physical way. Lucky Mojo Jesus the King oil is red,. Lucky Mojo Sacred Heart of Jesus oil is also red, of course. Miss Cat this is beautiful. Thank you so much for sharing. So what are the differences between the various Jesus formulas? 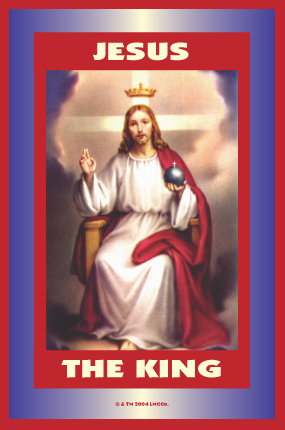 Why would one choose to use Sacred Heart vs. Jesus the King (or vs Infant Jesus or Holy Trinity for that matter)? I had a Catholic friend (who is very devout and a theology student) tell me that devotion to the Sacred Heart is specifically devotion to the *human* love of Jesus (as compared to His Divine Love). Maybe that's why I have a love for Sacred Heart images, even though I'm neither Catholic nor from Catholic stock. But I don't know if that theology is reflected in the Sacred Heart products specifically. As I write this, a Sacred Heart candle is burning near me. The prayer I set beneath it is that I as a non-Christian Hoodoo student might gain deeper wisdom into who Jesus is for me and who He is to be within my conjure work. The Sacred Heart is definitely Catholic. The Holy Trinity ranges from Catholic, to Protestant, to Mexisican Espiritismo -- in fact any trinitarian denomination. Infant Jesus apparitions are mostly Catholic, but the Baby Jesus, especially in the manger, is also Protestant. And take it from me, Jesus the King is as much Protestant as Catholic. Each church has its own favoured images of Jesus, and you will see this reflected in their songs. Much Protestant symbolism harks back to Jewish ideas -- and the Blood of Jesus is a call-back to the Passover (Pesach) of the Jews and to earlier animal sacrifice rituals among Semitic tribes. Leviticus 17:11 - For the life of the flesh [is] in the blood: and I have given it to you upon the altar to make an atonement for your souls: for it [is] the blood [that] maketh an atonement for the soul. The Ska version, and a medley!!!! Eight Asian Women at Valley Isle Church of Christ With Tempo and Pitch Issues! It Gets Better! The Christian Flag and Pledge of Allegiance! Words: George Duf­field, Jr., 1858. Till every foe is vanquished, and Christ is Lord indeed. Charge for the God of battles, and put the foe to rout. Forth to the mighty conflict, in this His glorious day. The arm of flesh will fail you, ye dare not trust your own. Where duty calls or danger, be never wanting there. And prove to all around you that death itself is gain. This day the noise of battle, the next the victor’s song. They with the King of Glory shall reign eternally. catherineyronwode wrote: Lucky Mojo Sacred Heart of Jesus oil is also red, of course. Miss Cat, you just made my night, and I can't wait to get some Sacred Heart of Jesus oil now! And, thank you for the wonderful links and hymns, as well! heartexhalted: All of the Sacred Heart products that Lucky Mojo make are simply amazing. They work very well with prayer. The oil and incense combination are my favorite way to use the Sacred Heart of Jesus line of Lucky Mojo products. I have asked for many favors. This time I ask for this special one. Take it, dear Heart of Jesus and place it within your own broken heart where your Father will see it. Then in his merciful eyes, it will become your favor not mine. The song does not refer to putting actual blood into one's laundry. "Jesus Washed Me In The Washing Machine" is an extended metaphor, and as such it may raise a few eyebrows, just as the song "Jesus On The Mainline" did when telephones were frst invented, and the song "Jesus is My Aeroplane" did when airplanes were first invented. But it is not a joke. I just wanted to say that I've had some wonderful experiences with Jesus the King oil! I really love it. It is a great devotional oil for Jesus; I use it to dress candles and myself when praying to and thanking him. I just love the way it makes me feel spiritually protected and truly in the hands of the Lord. I often find myself receiving a huge boost in clarity, faith and understanding when I work with this oil. There are really no words to express how powerful and beautiful it is! I haven' cleaned my room recently so some stuff is lying around and I was just drinking a class of cognac when I noticed a piece of life everlasting in the glass. I didn't drink the rest so I tossed it. I am not trying to have a baby because I have decided against motherhood for the time being. I want to know if my "area" is frozen for now or can I use any of these products to undo the spell? have cut and clear on the way for something else but I am anxiously curious to know if this will help. I also don't know why this post is under Jesus Christ supplies.